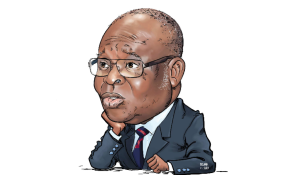 There were indications Sunday night that the federal government had taken fresh steps to ensure that the suspended Chief Justice of Nigeria, Walter Onnoghen, does not return to his seat but finds a place in one of the country's prisons to spend some time off. According to the source "when President Muhammadu Buhari decided to suspend Chief Justice Walter Onnoghen on the 25th of January, 2019, it was in response to serious allegations of irregularities, illegalities and criminal conduct contained in petitions submitted against the top judicial officer, and indeed some findings of the Economic and Financial Crimes Commission (EFCC), which not only substantiated those petitions but threw up even more damning facts. Since then, there have been several public revelations and judicial proceedings which are sometimes confusing to members of the general public. " The more interesting aspect of the suspended CJN's dilemma involves allegations of several breaches of the criminal and anti-corruption laws, including money laundering, bribery and tax evasion. The allegations of unexplained wealth, huge cash deposits being made into the suspended CJ's naira, dollar and pound sterling accounts directly from the court and well beyond his estacode and other allowances; unexplained payments into the suspended CJN's account by lawyers who at the same time were appearing before him for adjudication, etc, are currently being handled by the NJC and would be filed in court after the NJC has made its decision on them. According to the source "We must not miss the point that EFCC is also a petitioner against the suspended CJN. After carrying out an extensive investigation, some of the findings submitted by the Commission are truly shocking. For instance, there are findings to the effect that the CJN received a Mercedes Benz car and dollar cash deposits from a certain Joe Agi, appearing as a Senior Advocate before the Supreme Court in high profile cases. Worse still, the CJN is shown to have received cash gifts directly into his bank accounts from several other senior advocates, one of which is currently the President of the Bar Association. These implicating cash transactions were going on, in dollar and naira, even up to 2017 and 2018. "Even as the world eagerly awaits the decision of NJC on these matters, it is pertinent to emphasize that the conclusion of the cases before the CCT and NJC is not likely to be the end of the matter. Criminal charges are still to be filed in court. The source explained further "Beside the two streams of ongoing legal action against the suspended CJN, is the big ethical question. For good reason, it is often said that it is not enough for a judge to be above board. He must indeed be seen to be above board at all times. Thus, the traditional standard by which judicial officers are measured goes beyond the ordinary. "The question boils down to what kind of judicial officers we wish to have. For instance, should a judicial officer who has admitted to the breach of a fundamental constitutional provision, with the explanation that he 'forgot' his duty to declare his assets correctly, be allowed to continue to function in his judicial office? Should forgetfulness therefore be admitted to the class of legal defences? "Certain other questions also arise. When, having failed to declare his assets as required by law, the highest judicial officer files two inconsistent asset declarations on the same day, omitting to mention in the first one cash in bank, which he already had on the relevant dates, should he continue to sit in judgment over others while the mess is being sorted out? Where the asset declarations are made, but vital omissions are shown to exist in them, should the relevant judicial officer remain in office, whether or not technically culpable? What moral justification would such a judicial officer have, sitting in judgment over cases of other Nigerians whose alleged violations are akin to or even less than the violations he so openly and categorically admitted to? Wouldn't Nigeria be a laughing stock in the comity of nations when we shout and scream "we stand against corruption?" Wouldn't condonation of such behaviour in judicial officers vitiate any claim we lay to being a civilised nation?